DON’T MISS: “Robin Williams: Come Inside My Mind” – Director Marina Zenovich delivers a funny, intimate and heartbreaking portrait of the beloved entertainer who left us way too soon. Told largely through Williams’ own words and interviews with some of his closest confidants, the film doesn’t gloss over the demons he wrestled. 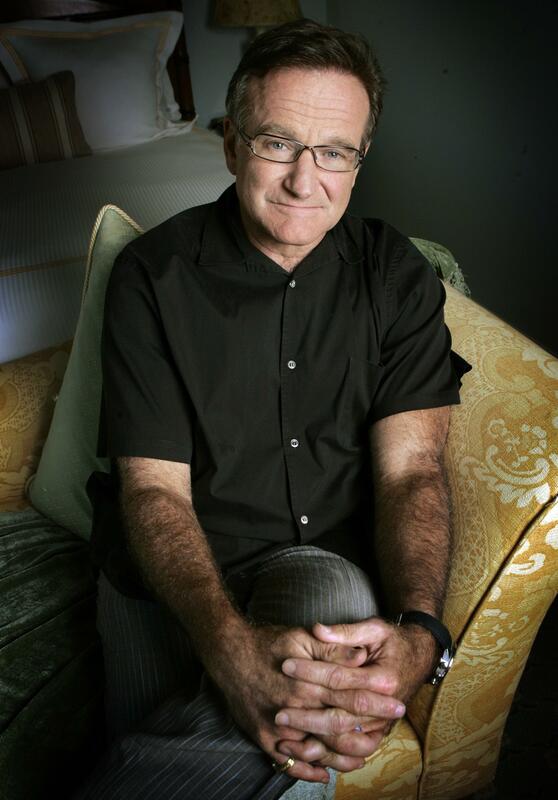 But it is mostly a heartfelt celebration of what Williams brought to comedy and to the culture at large – from the wild days of late-1970s Los Angeles to his suicide in 2014. (8 p.m. Monday, HBO). SUNDAY: “The History of Comedy” returns to examine what makes us laugh and how comedy has affected the social and political landscape over history. Part 1 of the six-part docu-series – “Carnal Knowledge” – spotlights sexual humor. (10 p.m., CNN). MONDAY: “Bug Juice: My Adventures at Camp” is an unscripted, kid-centric reality series. It chronicles the outdoor fun, team activities, new friendships and the experience of being away from home for guests at Camp Waziyatah in Maine. (7:30 p.m., Disney Channel). MONDAY: “Southern Charm Savannah” returns for its second season and we expect the drama to be so steamy that you might need to take steps to prevent your DVR from overheating. (10 p.m., Bravo). TUESDAY: Break out the peanuts and Cracker Jack. The 2018 MLB All-Star Game showcases baseball’s finest at Nationals Park in Washington, D.C. Joe Buck and John Smoltz call the action. (5 p.m., Fox). WEDNESDAY: Retired race car driver Danica Patrick is our host for “The 2018 ESPYs,” which celebrate standout achievements in sports. This year’s Arthur Ashe Courage Award goes to the brave abuse survivors who came forward to speak about the sins of former USA Gymnastics doctor Larry Nassar. (8 p.m., ABC). WEDNESDAY: Patrick J. Adams and new royal Meghan Markle may be gone, but the legal series “Suits” charges into its eighth season. Joining the cast is Katherine Heigl as Samantha Wheeler, an abrasive partner at Pearson Specter Litt. (9 p.m., USA). THURSDAY: Brace yourself for more courtroom buffoonery as the crime mockumentary “Trial & Error” returns with a new case and a new subtitle – “Lady Killer.” Kristin Chenoweth plays an East Peck socialite who – oops! – was found with her husband Edgar’s corpse in a suitcase in her trunk. (9 p.m., NBC). THURSDAY: In its second season, the drama “Snowfall” continues to explore the origins of the crack cocaine epidemic in Los Angeles. As we enter 1984, young drug dealer Franklin Saint (Damson Idris) is starting to experience the perils of success. (10 p.m., FX). FRIDAY: Following in the footsteps of Leonard Nimoy, the latest Spock – Zachary Quinto – hosts “In Search Of.” It’s a reboot of the popular 1970s series that explored some of mankind’s biggest myths and mysteries. (10 p.m., History Channel). SATURDAY: NBA star Chris Paul is our host for “Kids’ Choice Sports 2018,” the awards show where athletes meet green slime. Among the offbeat categories are: King and Queen of Swag, Best Cannon, Heavy Hitter and Sickest Moves. (8 p.m., Nickelodeon).